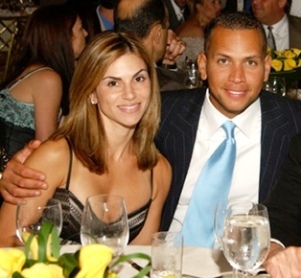 The estranged wife of Yankee star Alex Rodriguez filed for divorce Monday in Miami, seeking to dissolve their five-and-a-half-year union. While citing numerous alleged infidelities committed by the baseball superstar, C-Rod did not specifically mention Madonna in court papers, after a week of media reports suggesting the Queen of Pop and Rodriguez may have carried on an illicit affair. Sunday Rose Kidman Urban is already feeling the love from her grandmother, Janelle, and her auntie, Antonia, both of whom traveled from Sydney, Australia, for her arrival. …Nicole and Keith’s baby girl was born Monday morning in Nashville and weighed 6 lbs., 7.5 oz. Drew Barrymore and Justin Long have split, her rep tells Usmagazine.com exclusively. “They are still friends,” a source close to Barrymore tells Us. Barrymore, 33, and Long, 30, have been together since August 2007.
previous post: Happy 232nd Birthday America! next post: Matthew McConaughey – Sexiest Dad Alive. 50 queries in 2.319 seconds.